Where can I overnight on the island when going around on foot? hese are the authorized campsites, the mountain huts and the hostels you will find on the island. Please, pay special attention to their facilities. Where, along the long-distance GR 131 hiking path, can I overnight? Bivouac (previous request necessary) at Roque de los Muchachos. Please, read question 7: May I bivouac while doing a walk on La Palma? May I spend the night in Roque de los Muchachos? No, there is no accommodation in this area of the island. If you are doing a walk on this part of the island and you need to spend the night there, you can either bivouac or carry on walking until you find a mountain hut or a campsite. I am interested in doing the long-distance GR 131 walk. Where can I find drinking water? Roque de los Muchachos (next to the information point). Area Recreativa Fuente de Los Roques (Fuencaliente). Where, along the long-distance GR 130 hiking path, can I overnight? Bivouac is also possible. 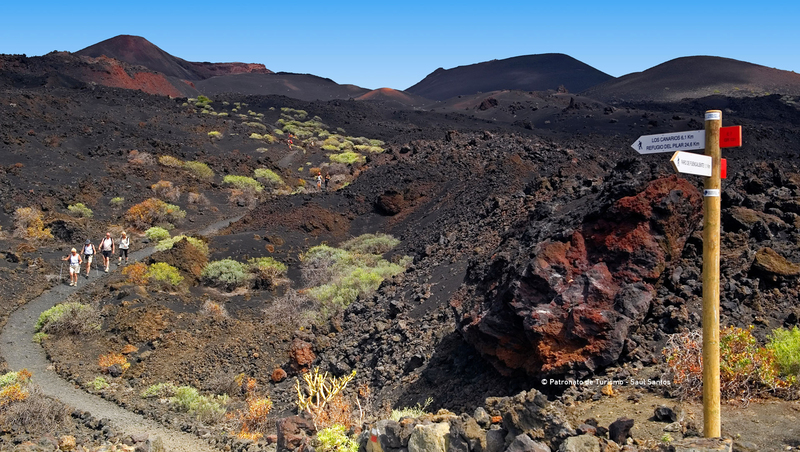 Please, read question 7: May I bivouac while doing a walk on La Palma? Where can I get the necessary permits to sleep in the authorized campsites on the island? Servicio de Medio Ambiente. Cabildo Insular de La Palma. Avda. de Los Indianos, 20, 2ª Planta. Santa Cruz de La Palma. La Palma. Tlf: 00 34 922 423 100 (ext. 6820). Opening hours: Mondays to Fridays from 9.00 till 13.00. Saturdays and Sundays remains closed to the public. May I bivouac while going around the island on foot? Bivouac implies doing walks for several days. Tents are allowed only between sunset and sunrise. Only experienced hikers are recommended and always carrying with you the necessary equipment, as temperature can severely drop at night. You will need a permit of Consejreía de Medio Ambiente. You have to request it 10 days prior to the beginning of the walk and you have to make it clear what your itinerary is and where you plan to sleep. It’s totally prohibited to set a fire except in authorized campsites and whenever it’s allowed in that specific campsite at that specific moment. It’s totally prohibited to cut trees down or to collect any flower or flora species. It’s totally prohibited to disturb animals. It’s totally prohibited to throw any material or liquid which could pollute water. You have to carry your rubbish with you and throw it away only in authorized bins. You are responsible of any damage you would cause and you will be fined according to the Spanish legislation. Is there any bus to Roque de los Muchachos, Los Tilos, Marcos y Corderos or Refugio del Pilar? No, there is none. You have either to use your car, to catch a taxi or to be part of a group. Where can I request the necessary permit to spend the night in the National Park? National Park Caldera de Taburiente. How can I go inside the National Park? there are different options. Please, have a look at the official site for further information. How can I get to los Brecitos and Casa del Monte? You will need a 4×4 taxi to get to both points. Have a look at taxi stands on the island. Which walks can I do with children? Depending on his/her age, his/her physical condition as well as on the fact that he/she is used to doing walks, you could consider doing these: Marcos y Cordero (PR LP 6), Cubo de la Galga (PR LP 5.1), go up to Pico de La Nieve PR LP 14), del Roque de los Muchachos al Mirador de los Andenes (a short leg of the long-distance GR 131). Please, have a look at the information concerning these walks (distance, duration, profile…) in order to make a final decision. Which prívate firms on the island offer us guided tours? For further information, have a look at this.